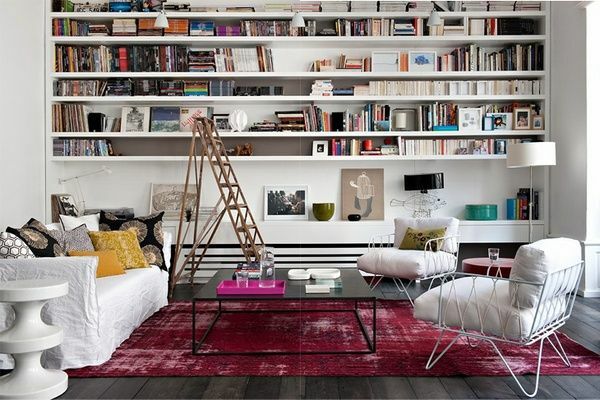 Last week we discussed the beauty of the étagère, and it's possible use in our new apartment. And while I'm fairly sure that's what we will go with (since this is a rental) I would like to take a moment to discuss the étagère's larger and more permanent cousin….the wall-o-books. 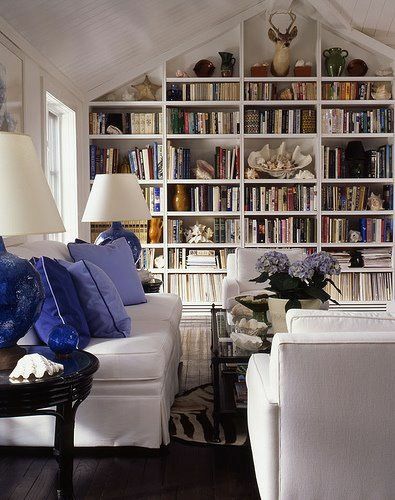 My girl Jamie has documented the art of the bookcase for years, and I often find myself pinning her "Bookcase of the Day" with sheer delight. 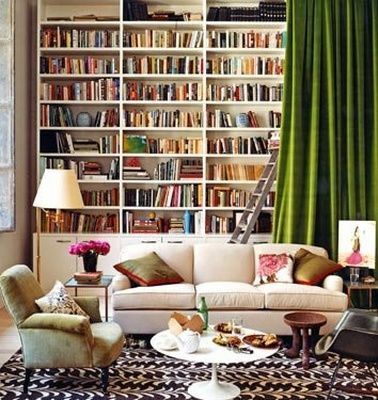 A whole wall of books? The styling possibilities are endless. The most important of which is the ladder, my personal favorite and the key to channeling your inner Belle. But seriously, I would take any of these beauties.